Blossom is the kind of tech that lets you tackle your water wastage—lowering your water bill by up to 30% (in comparison to other smart sprinklers). It does that by automating your sprinklers with real-time weather data, only supplying your yard with water when it’s needed. It also lets you connect with your computer, tablet or smartphone. We recommend this piece of garden tech to seasoned gardeners and busy homeowners that want to save time, water and therefore money. This kind of smart garden tech is best suited for people who want some help with their gardening or have a lot of plants and just want to save time. Just put it into your outdoor or indoor soil and it’ll measure soil moisture, ambient temperature, light sensitivity and soil temperature on its own. This information is then sent to your mobile phone notifying you when your plant is thirsty for water. Also, compared to other product genres, this is one of the most affordable ones you can get—with a starting price of around 20€. If you happen to have a lot of money put aside, robot lawnmovers like the Husqvarna are worth having a look at. No matter the weather conditions, the husqvarna will mow your yard day and night—saving you time and energy. By connecting via your smartphone, you can control the automower from anywhere around the globe. It’s also provided by an anti-theft system—making it almost impossible to be stolen. Although this product isn’t necessarily considered a gadget, it still made it to the list because of the fact that it is a garden for your indoor walls is kind of really cool. It’s especially great for people who want to grow their own organic vegetables, herbs or fruits—without the need for you to water it. The LED light allows you to grow even in the coldest of winters and also the design is very compelling—looking like a painting of nature when plants are sprouting. Plus, the fact that it doesn’t even need soil, makes this product seem a bit magical. If you are interested in vertical farms you might like our blog post about vertical gardening as well. Helloplant is the first plant sensor that you will love. It informs you you when to water your plant, its condition and where to find the perfect spot. So while vertical gardening is not exactly a new thing, it is definitely something that is becoming a lot more interesting for more and more people. But what is it all about? Well, the name explains most of it already. Instead of letting your plants grow on the ground you are putting them on walls which lets you save space – indoors and outdoors. Furthermore, it gives people the chance to have their own garden of herbs and vegetables right where they want to have it – in a look that many find visually appealing. 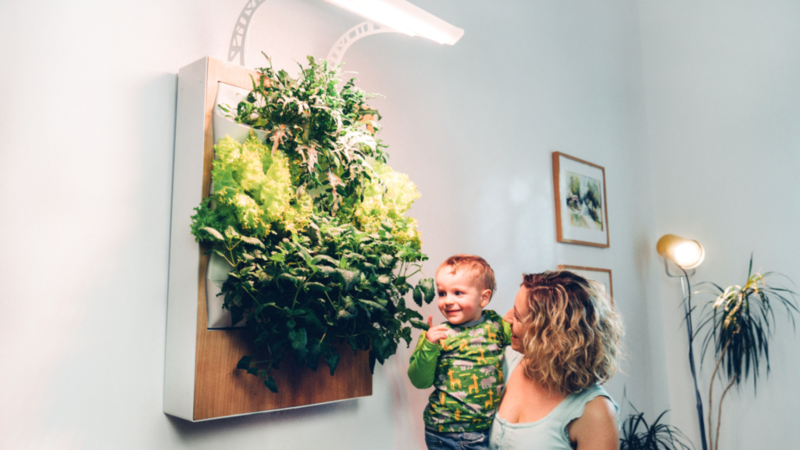 A very successful vertical gardening product that has recently been released on Kickstarter is Herbert. No soil and sun is needed for it—all you have to do is plant your seeds and harvest them afterwards. Just like our plant sensor, Herbert takes care of your plants and makes sure they have everything to flourish. Plants thrive in suitable soil and struggle otherwise. Learn how to select soil for your lovely plants at home. Most plant lovers probably already know how selecting soil in their favorite gardening feels like. It’s a place where piles of soil are offered in different prices, qualities, colors and packages like a giant wall. Within this selection even the most ambitious plant lover sometimes just gives up and takes the cheapest or best looking product. And because price isn’t always the best purchase criteria we will give you some hints on how to select the best product. Most of the potting soil products offered in gardening stores contain peat/turf. Peat’s mining typically happens in wetlands with huge ecological drawbacks like destroying local ecosystems. As soon as peat dries up it decomposes and turns into CO2, that is released into the atmosphere. Peat lands destroyed through mining are very slow to regenerate and animals lose their habitat. As a consumer you have an easy choice: select the soil without peat. Now what if you don’t want to lose all the advantages of peat? 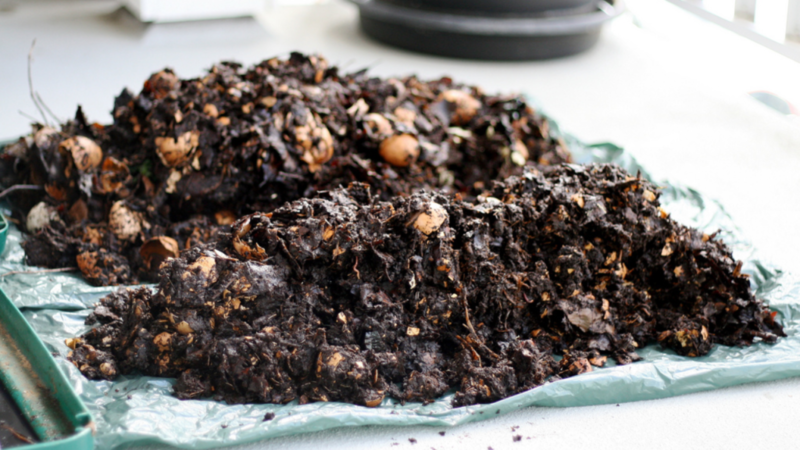 One eco-friendly and cheap option is compost. Compost is decomposed organic matter, recycled to be an excellent fertilizer and key to organic farming, both at home and professionally. It enhances cheap soil with nutrients and structure that allows for good water distribution and air to reach the roots. 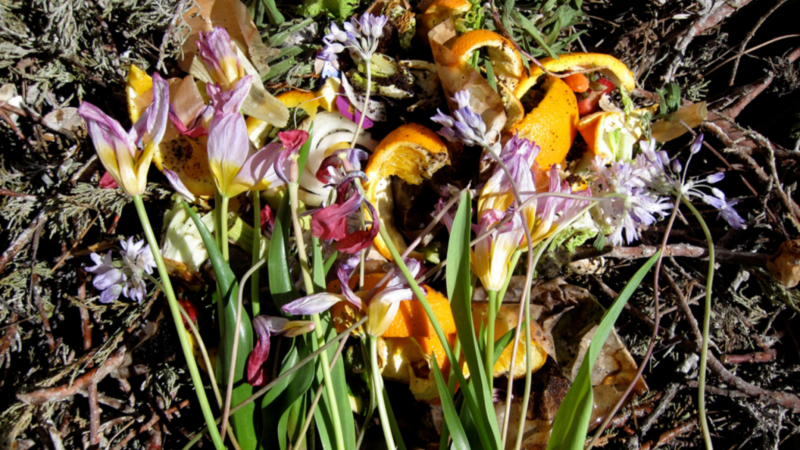 Pro tip: many countries around the world offer compost for free to be picked up at recycling yards. Watering your plants: How often and how much? In our last blog entry we wrote about the benefits of having plants at home. This time, we would like to give you a few tips on how to water them correctly. 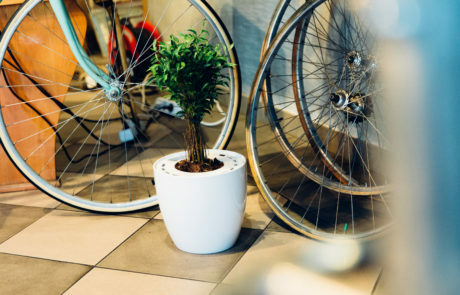 After all, your plants are here to stay. In general, it’s advised to water your plants with greater amounts of water but less often. This is important because otherwise the water will just dry without trickling its way to the roots. Also, the water you’re using should always have a lukewarm temperature. 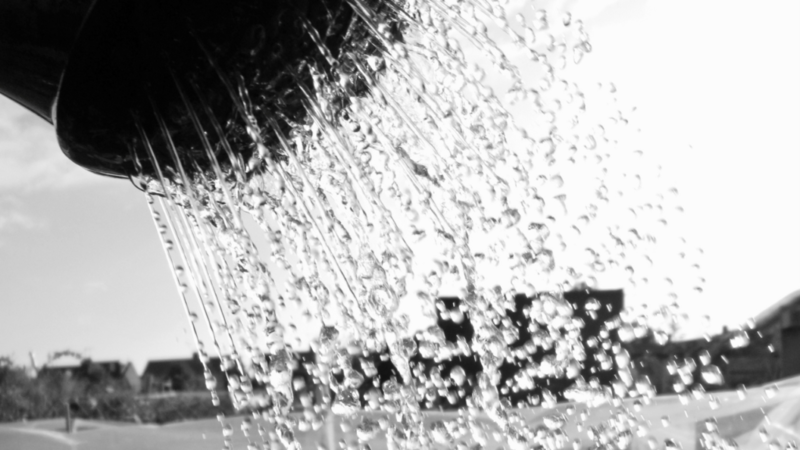 Unfortunately, there isn’t a fixed schedule on when or with how much water you should be watering your plants. Instead, we put together a list for you to give you a sense of when to water your plants as well as how much water you should be using for them. Soil moisture. This can be quite tricky to determine since you have to go quite deep into the pot to feel if the soil is really moist enough. So even if you manage to do it (without making a complete mess), it can be quite tough to measure the right moisture level solely by your fingers. A plant sensor like ours comes in handy here because it does that (and more) for you. Ambient temperature. 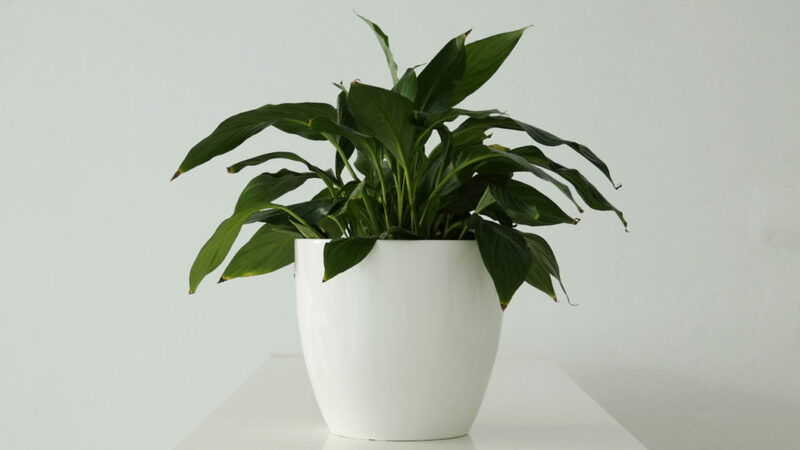 The higher the temperature in your room, the more water is needed by your plants. 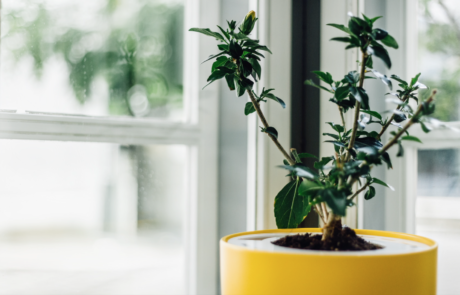 Try keeping an eye on your air humidity at home, the weather conditions and the temperature of your heating system when watering your plants. Your pot. First of all, there’s the material – it affects its temperature, hence the amount of water you will need for your plant. Important to keep in mind here: pots made out of plastic won’t get as hot as the ones made out of terracotta. And then there’s the size of it. Obviously, bigger pots will need more soil and therefore more water to keep bigger plants hydrated. Your plant. Not every plant needs the same amount of water. 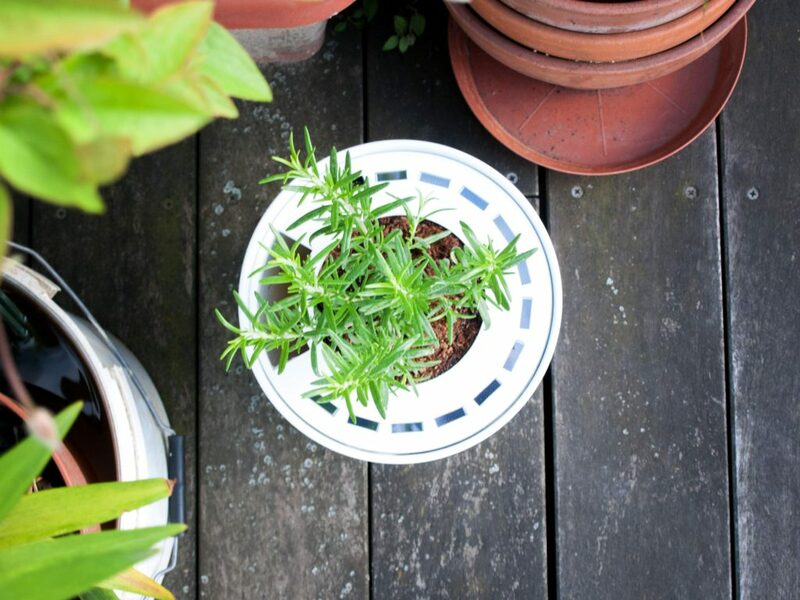 Mediterranean plants and herbs, like rosemary and thyme, for example get by better with less water than others. So when buying plants a good thing to do is asking for consultation. Also, plants who are in their growing/blooming phase as well as those with bigger leafs consume more water. Still not sure, then check out these 49 gardening expert tips for watering. 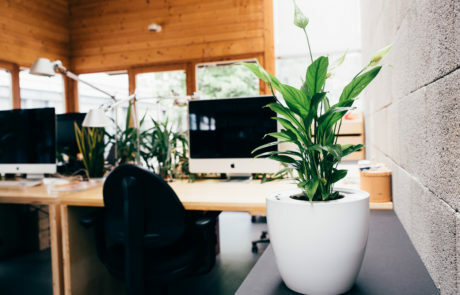 Plants improve the quality of your air. Not only do plants look good they also provide fresh air by filtering chemicals and producing oxygen. This can affect your overall mood, flow of thinking, sleep, etc., in a positive way. 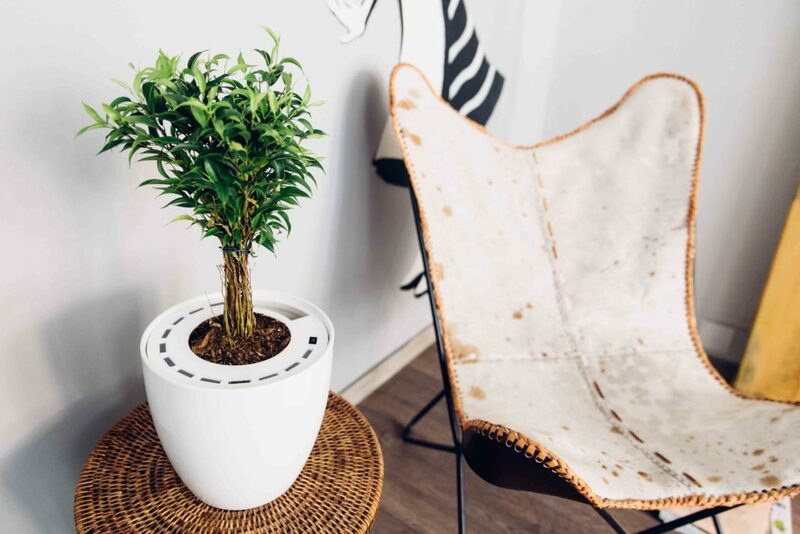 Also, people who own plants at their home have been known to be less stressed and plants in general can actually contribute to a lower blood pressure and less headaches. Plants can help prevent illnesses. 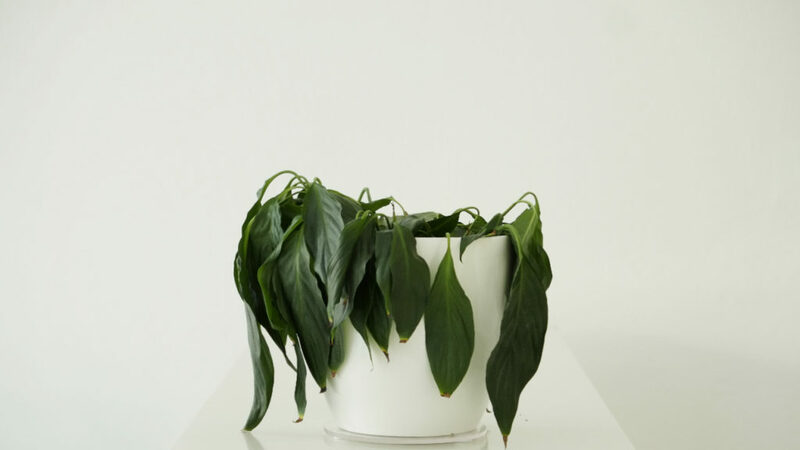 People with plants at their home are more than 30% less likely of becoming ill. This is mostly due to their ability of decreasing the amount of dust and keeping the air humid. No need for an expensive humidifier anymore! Plants can make you happy. Being occupied by a living being and caring for it has been linked to the feeling of wellbeing. Studies have even shown that patients in hospitals often recovered faster when they had a garden in front of their window than the ones who faced a wall. P.S. : If you need help with your new plants. Helloplant keeps them alife in 2017. This little smart plant sensor tells you when to water your plant, its condition and where to find the perfect spot.